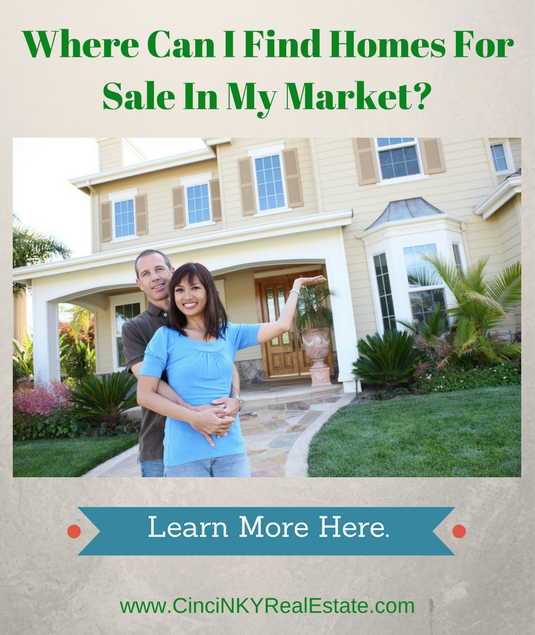 Where Can I Find Homes For Sale In My Market? With all the homes available for sale in different markets homebuyers may not be sure where to find the most up to date information on homes available in their market. Unfortunately there is no one website where homebuyers can find a list of all homes currently available for sale. Homes listed for sale that have Realtors helping sell the home can be found on local real estate websites (through the local Multiple Listing Service or MLS) as well as on some of the national websites like Realtor.com, Zillow, Trulia and more. Additionally homes will also be found on national real estate brokerage websites like United Real Estate, Coldwell Banker, RE/MAX, and more. Often times the national brokerage websites will redirect homebuyers to local area websites to make sure homebuyers connect with local agents when shopping for their home. Homes that are listed For Sale By Owner (FSBO) may be found (though not always) on sites like Realtor.com, Zillow, Craigslist, Ebay, Facebook market place groups, local classifieds, local bulletin boards, Realtor.com, local real estate websites and more. Some FSBO home sellers may be listed on the local MLS by paying for flat fee service some real estate brokerages provide whereby they will list the home on the MLS but provide no other services to the home seller. Services like photography, videos, online and offline marketing, lockboxes, screened showings and more are instead done by the FSBO seller themselves. This article explores the various ways with which homebuyers can find homes for sale in their local market. There are number of different MLS organizations setup all around the U.S. and these MLS collect all the information on Realtor listed homes for sale into a database. The data on the homes for sale (new or existing construction) are then published to local real estate websites like this one here in Cincinnati and Northern Kentucky. Almost every area where there are homes to sell in the U.S. have a local MLS where information about homes for sale are kept and shared with the public through agent and broker websites. These MLS systems also share their data up to national sites like Realtor.com, Zillow, National Brokers and more. Generally the public does not have direct access to MLS home listings and instead must use a local website to get the home information they want to see. Homebuyers when working with a Realtor who is a member of the MLS can surf the local broker or agent website to find up to date information of homes that are available for sale. Local MLS rules require member real estate agents to keep up to date their information including when a home is on sale, when a home is pending and when it is sold so buyers can trust that the information they are looking at is fresh. For the most part homebuyers do not have to pay to access local real estate websites and get information on the latest homes for sale. 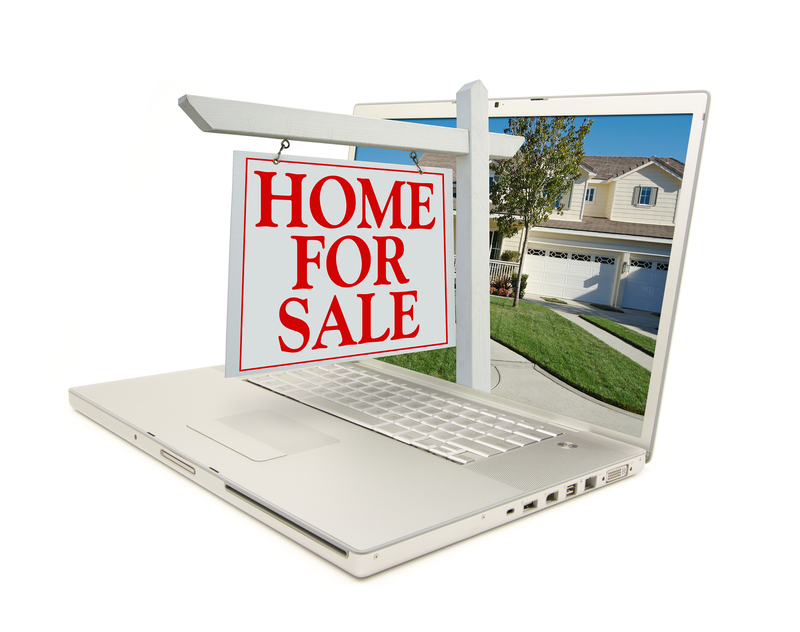 A majority of local real estate websites offer the information on homes for sale for no cost to the general public. The Realtors and Brokers get paid when a home is bought or sold and some of the collected fees for those services are used to pay for the website and data to be kept. There are some websites which claim to have unique information on properties that may soon be foreclosed or soon will be up for auction and ask that a homebuyer pay some money to access the information. Most of the time the information on those sites is outdated and/or flat out incorrect. Any money paid to access that information will likely be a waste since there are a number of other websites already offering for free information on all the current homes listed for sale. Buying a foreclosed home that is not yet on the market is not an easy thing to do. Many local sheriff’s sales where these foreclosure auctions happen require the home to be purchased with cash or with secured funds ready to be paid immediately. Mortgages cannot be used to purchase many of the homes from a sheriff’s sale. If a homebuyer does not have cash in hand to buy a foreclosed home at auction they will not be able to buy the home and most of these homes may only be discounted 20-30% off of their true value. What that means is a home that normally would sell for $300,000 would still require $200,000 or more in cash to be purchased at auction. If you are a homebuyer who does have cash to buy a foreclosed home from a sheriff’s auction, information on foreclosed homes coming up for auction should be available for no cost at the sheriff’s website in the county where the property is located in. As noted above not all homes for sale by owner can be found on traditional local real estate websites. Those that do sign with a limited service flat fee broker will usually be listed on local and national MLS based websites. For FSBO homeowners who do not use a flat fee broker their homes may be found on sites like Zillow, Craiglist, Facebook Market Place Groups, FSBO.com, ForSaleByOwner.com, local newspaper classified ads (both online and in printed paper) and other local publications and media. For FSBO homes though homebuyers have to be more vigilant in looking through all the different publications as not all home sellers know about the various different places to list their home for sale. A homeowner selling FSBO may only post on Craigslist and not know about the 10 different local Facebook groups there are where advertising a house is done. Or the homeowner may feel threatened by the low Zestimate that Zillow gives as the value for their home and as a result shy away from listing on Zillow for fear of homebuyers giving lowball offers. Regardless of the reason there is no one specific location where all local FSBO homes can be found and if homebuyers want to explore FSBO homes they need to search far and wide or work with a Realtor who knows where to look for them. Homes that were purchased using government sponsored loans (FHA, VA, USDA) have mortgages that are backed by the U.S. Government. If the homeowner with a government backed loan is no longer able to pay their mortgage back the home will be foreclosed upon in order to pay back the loan. Basically the homeowner loses the home and the lender (in this case the government) takes ownership of the home. The government does not want to own vacant homes and as a result will sell back those homes (homes in livable condition) to the public. While most of these government owned homes will also be listed on the local MLS there are specific websites that just list these homes up for sale. The rules for purchasing these homes are somewhat different than purchasing a traditional home and if a homebuyer fails to follow the offer and purchase instructions exactly the sale could fall through. It is best to work with a real estate agent who has experience with purchasing these government owned homes in order to ensure a successful transaction. Government owned homes for sale can be found at sites like HomePath.com, HomeSteps.com, HUDHomeStore.com, and more. Homebuyers should not be paying for access to home for sale listings since they are available free from many websites all over the United States. Any website that claims to have exclusive information about upcoming foreclosures and auctions for a price likely does not have accurate information and that information generally can be found from public sources for free. There are many different websites that have information on homes listed for sale and all the information contain on the site should be the same as other local real estate sites in your area. About the author: The above article “Where Can I Find Homes For Sale In My Market?” was provided by Luxury Real Estate Specialist Paul Sian. Paul can be reached at paul@CinciNKYRealEstate.com or by phone at 513-560-8002. If you’re thinking of selling or buying your investment or commercial business property I would love to share my marketing knowledge and expertise to help you. Contact me today!